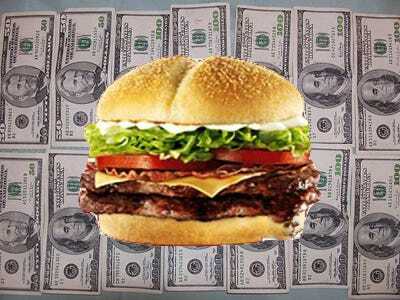 Hamburger is a $100 billion market just waiting for technology to disrupt it. So says top venture capitalist Vinod Khosla, who is funding a stealth startup working on just that. He’s investing in a company that turns protein, fat, and fiber from plant sources into a juicy, beefy-tasting patty. “There are no cows involved, but you can’t taste the difference,” he promised during a talk at the TechCrunch Disrupt conference in San Francisco today. It takes 33 pounds of corn, plus water, to produce one kilo of beef, he says. So ultimately, if tech could solve this, it would go a long way to feed the masses more affordably. 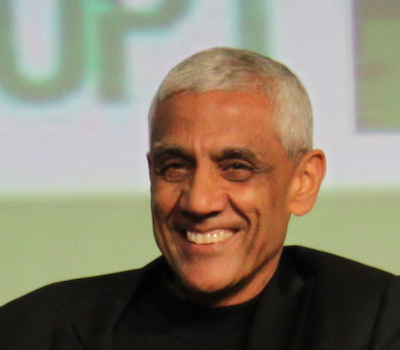 Khosla also mentioned investing in a startup which is working on less-salty salt. As well, he’s backed Unreal, a candymaker which promises healthier sweets. The chain has struggled with a decline in sales since 2008. It lost its No. 2 spot to Wendy’s in March. The new branding is supposed to be a fresh start. 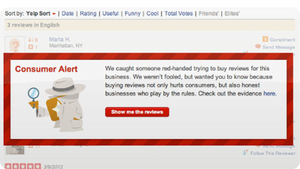 But just as things were looking up, a spot featuring Mary J. Blige outraged consumers with its racial stereotypes. Most brands can move past controversies like this with a heartfelt apology and a donation to charity. For Burger King, however, this is just the latest is a string of marketing blunders it’s committed over the past four years. 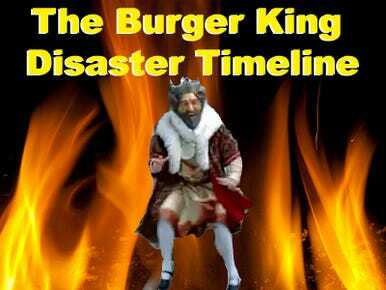 Coupled with the recession and the growing success of McDonald’s and Wendy’s, Burger King couldn’t be in more trouble. 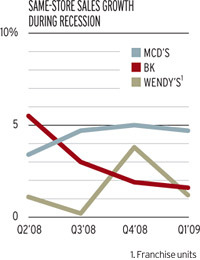 Things had been bad at Burger King for a long time: through the late 1990’s, revenues were declining, market share was down, and the company was tied with Wendy’s for the No. 2 fast-feeder spot. So when then-owner Diageo sold Burger King in 2002 to TPG Capital for $1.5 billion, the company looked at the deal as a clean slate. 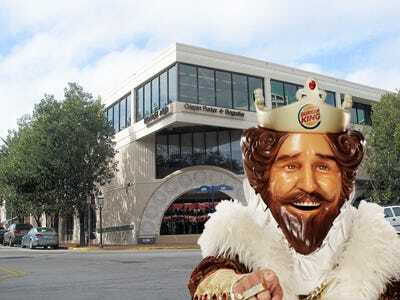 In 2003, Burger King’s then-chief marketer Russ Klein hired Crispin Porter + Bogusky as the chain’s ad agency. CP+B, under charismatic chief creative Alex Bogusky, was the hottest, hippest ad agency in the U.S. The stage was set for a comeback. One of CP+B’s first major decisions to was to resurrect “The King,” a brand icon the company had ditched in the 1980s. The decision would prove fateful. 2008: Burger King started selling absurdly expensive burgers. In the U.K., a Burger King started selling a gourmet burger for $190. The recession was in full swing and the PR stunt made BK look out of touch. 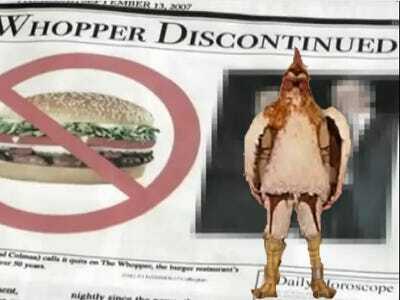 As an extension of that slogan, the agency created “Subservient Chicken,” a website where consumers could type commands and watch a giant chicken act them out. The website had 20 million hits in the first week. 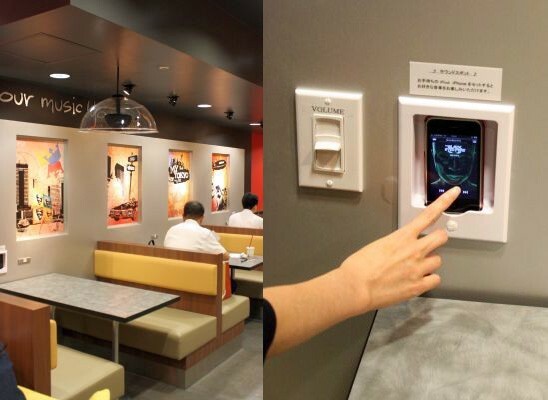 The “Whopper Freakout” campaign saw Burger King employees telling customers the famous sandwich had been discontinued and recording their reactions. The campaign resulted in double-digit increases in quarterly sales that year. Pat LaFrieda, the master butcher and man behind the best burgers in the world, has created an iPad app that’s pretty much the definitive guide to all things meat. Aptly named Pat LaFrieda’s Big App for Meat, you’ll learn about all the cuts and dry aging and grinding techniques with awesome visuals and in-depth videos. LaFrieda really knows his meat too, he supplies Shake Shack and Minetta Tavern with the most delicious burger patties known to man, so his advice is like canon in the meat world. The app, which is super slick, is deliciously visual, you’ve never seen meat like this before. Each cut of meat (and it details cuts from beef, pork, poultry, veal and lamb) comes with a real life gallery with amazing pictures, a little blurb on the cut, a location of where it can be found on the animal and a 360 degree view. But a new report by analysts Michael Exstein, Chrisopher Su and Trey Schorgi at Credit Suisse says that it’s time for retailers to abandon the credit card. Why are credit-based rewards programs not the right way to go anymore?